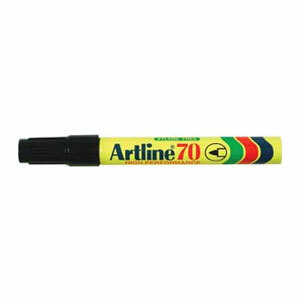 One of the most popular Artline Markers, the 70 marker has a 1.5mm Bullet Nib ideal for paper, wood, glass, steel & all fibrous surfaces. This Permanent Marker has waterproof instant drying ink. Waterproof and instant drying ink.